The two initiatives are very similar. But they differ in size, the promises of a park along the San Diego River and how much they pledge (or don't) to pay for the stadium property in Mission Valley. The group Friends of SDSU is right now circulating a petition. It’s paying signature-gatherers $5 per signature, and aiming for a spot on the November 2018 ballot. Their initiative is much shorter than SoccerCity’s, which already has a spot on the ballot. The Friends of SDSU initiative basically asks voters to tell the city to sell the land under and around the former Qualcomm Stadium to San Diego State University. This week, we finally got to hear from university leaders about what they would do with that land if they got it. Turns out, they would do something not that dissimilar from what SoccerCity would do. They would build a $250 million stadium with 35,000 seats — just slightly larger than the one SoccerCity wants. They would build more than 4,500 housing units, not a lot fewer than SoccerCity’s 4,800. But the real difference is who is running the show: Which development team gets to do the deal? The city of San Diego has essentially bowed out of the decision about what to do with one of its most valuable pieces of property. What happens to that land will have a major impact on the city forever forward. In doing so, it has set up a battle between developers we have not seen since the row over the former Naval Training Center, now Liberty Station. But that was a fight over who got to carry out the city’s master plan. This is a fight over who gets to do the master plan, instead of the city. And voters will apparently get to settle the match. Unless observers are able to rigorously outline the differences in the plans, then it will be a simple decision about whether you have more interest in Major League Soccer or in SDSU. So here are four major differences. Yes, this is a fight about what to do with the stadium land in Mission Valley. But there are some important distinctions between the two camps. First, SoccerCity includes the former headquarters of the Chargers in Murphy Canyon. That’s also city-owned land and SoccerCity wants it. SDSU, and its friends, do not. Second, SoccerCity’s ballot measure would have that group of investors lease all the land under and around the stadium and the Murphy Canyon property. Then the city would have to sell up to 79 acres of it to SoccerCity. SoccerCity also imagines leasing the land that would comprise the San Diego River park. The Friends of SDSU initiative does not include the river park. The city would not sell the land next to the river to SDSU. It would remain the city’s. And that’s kind of a big deal. 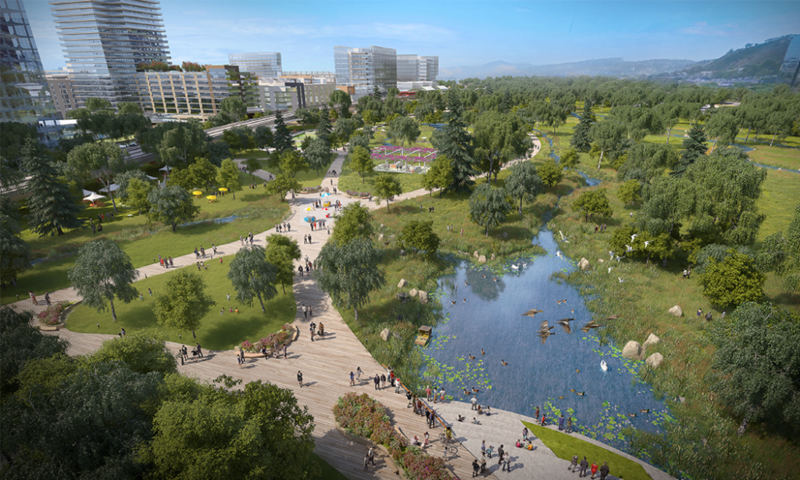 Of all the public benefits we need to insist on in these visions, the plan for the long-envisioned park along the San Diego River is a big one. The big dream is for much of the river, but this Mission Valley stretch is an important one. Both plans acknowledge it’s 34 acres of the 166-acre stadium property. SoccerCity investors are committed, by the initiative, to put $40 million into building the park. And that land is part of what it would lease from the city. They’d be in charge of it and of building it. But critics rapidly point out that if the city does not permit its construction swiftly, that drops to $20 million. If it cost more, the city would have to pay. For its part, the Friends of SDSU initiative does not have the university buy the land for the park. It’s buying only 132 acres of the 166-acre land around the stadium. It deliberately does not take control of the land for the river park. The Friends initiative only says that the university — if it gets the rest of the property — has to cause the city to build the river park. The initiative says they would have seven years to get it built. 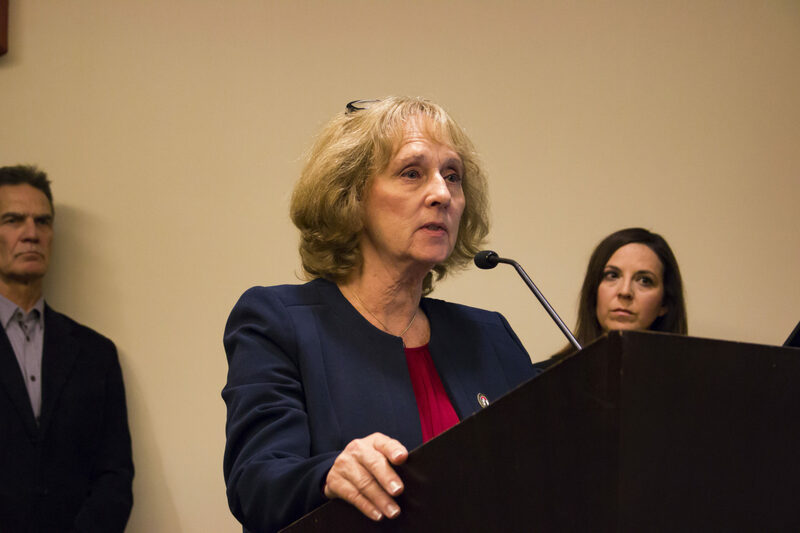 “SDSU and its eventual private-sector partners will pay for the construction and maintenance the park,” said Gina Jacobs, chief of staff to the university’s interim president, Sally Roush. It’s unclear what would happen if the university did not do this within seven years. “They’d be in breach of the contract,” said Kim Kilkenny, a member of the Friends of SDSU group, on our podcast several weeks ago. But there is no contract. That helps drive home what is really happening here. A lot of this stuff in the SDSU deal would depend on the contract the city made with San Diego State. If voters approve the initiative Friends of SDSU is circulating, the city must sell the land to San Diego State. “We did not in this initiative lay out an entire sales agreement. We did not lay out a 3,000-page initiative that had every detail in it. 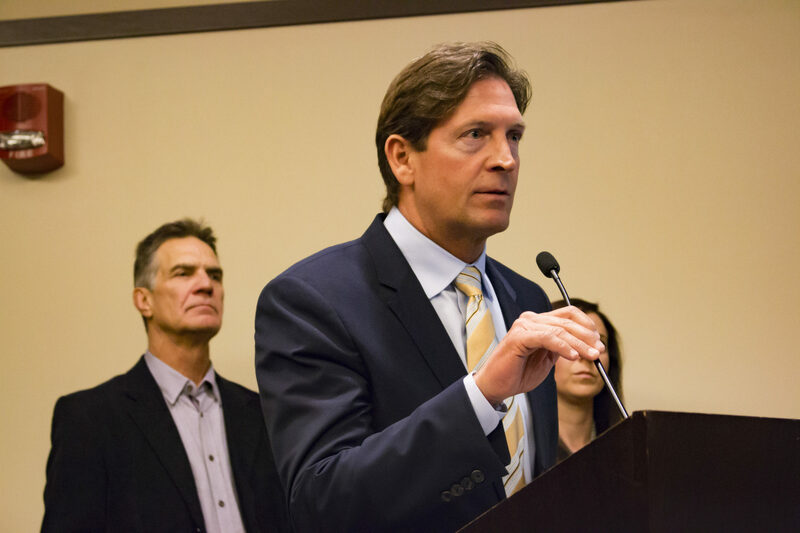 What we laid out is the opportunity for two public agencies to get together and strike a deal that is in the best interest of both and then primarily in the best interest of San Diegans,” Kilkenny said. In other words, there’s a chance that the vote could pass. SDSU could get the land and we won’t know anything about what happens if the university doesn’t build the park within seven years. It is a promise. “The university intends to build and maintain the park with its private-sector partners. The details of that would be worked out with the City,” Jacobs said in an email. But again, that 34-acre river park would remain the city’s in the SDSU plan. SoccerCity would control that land in its plan. 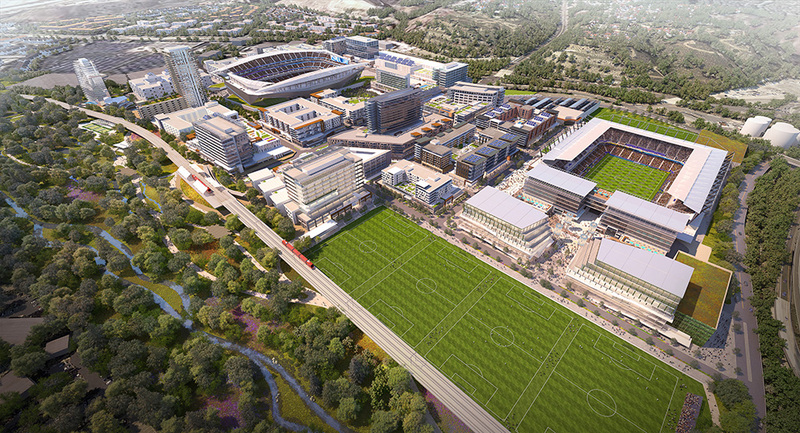 SoccerCity officials say that shouldn’t count in the SDSU parkland tally. SoccerCity’s initiative requires the mayor to get an appraisal of the land, and that would be the cost SoccerCity would rely on. Almost immediately, the investment partners backing SoccerCity got hammered with concerns that they were going to get the land for nearly nothing. The mayor expedited the process, and got the appraisal done —and the number was big. The appraisers put the Qualcomm Stadium land and the Murphy Canyon property at $110 million — $83 million just for the stadium land. The appraisal also considers all possible deductions, like for the cost of demolishing the old stadium. SoccerCity’s partners accepted it. They moaned about the amount but didn’t get any sympathy. It does make the project more risky for them. That doesn’t mean that the investors will pay the city $83 million for the stadium land. Remember, they’re not buying all of it. But it means that what they buy and lease will be based on that price. The Friends of SDSU do not accept that appraisal. They don’t necessarily reject it or have another number in mind. At least they aren’t saying if they do. The Friends of SDSU initiative would have the City Council, not the mayor necessarily, get a new appraisal and decide what is a “fair and equitable” price for the land, Kilkenny said. “If the initiative passes, the City Council, in its wisdom, would determine what the value of that property is,” Kilkenny said. SDSU officials wanted me to be clear that they are not rejecting the appraisal. “We would work with that number if that’s what the city determined was appropriate. The cost of land will be subject to negotiations,” Jacobs said. Both plans force the city to sell the land to one entity, which constrains its value no matter what. If you were only allowed to sell your home to guys named Pete who were 50 years old and drove Honda Accords, you would maybe not be getting the most money you could for it. The plans are very similar. One of them, SDSU’s, would have the stadium closer to the western edge of the property, the other would have it on the eastern side. They both envision a lot of housing — both affordable and market-rate, though obviously SDSU’s would include more student and faculty housing. Both have hotels. SoccerCity sets aside land for a potential NFL stadium. SDSU does not, saying its smaller stadium could be expanded. But one area where the two plans are quite different is retail space. SDSU envisions only 95,000 square feet of retail space. SoccerCity would have 740,000 square feet. Put simply, this is the entertainment district SoccerCity wants. “A key point of what made this plan exciting for the community and Major League Soccer was the availability of a vibrant entertainment district, which won’t be satisfied with only 95,000 square feet of gameday retail,” said Nick Stone, a partner in SoccerCity. But SDSU sees the difference as an advantage as well, namely in what could be a major point of contention: traffic. “The retail we’re envisioning for the site is really gameday-serving and community-serving not destination-serving retail, significantly less traffic impact,” Jacobs said. It is true that retail is generally one of the most intense drivers of traffic. Stone countered that people looking for a good time will have to leave the area. “They’re not going to have enough to serve everyone a vibrant atmosphere,” he said. SDSU made its presentation Wednesday with JMI Realty. That’s the firm founded by former Padres owner John Moores. JMI developed the Ballpark Village, and it manages the Omni Hotel. It was also a major supporter of last year’s Measure D, a plan pulled together by attorney Cory Briggs and allies, which would have paved the way for SDSU to purchase the Mission Valley land. Measure D failed, but it appears that the Friends of SDSU initiative is the heir to it. 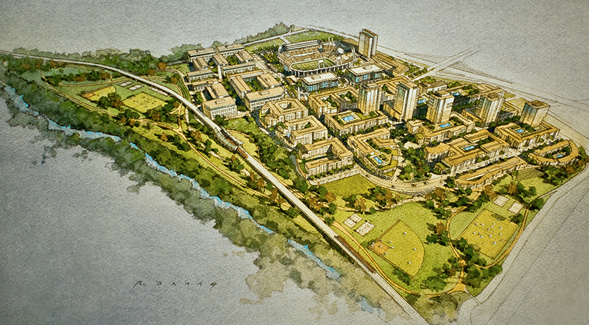 SDSU leaders will choose a developer or group of developers to pull off the vision. The university fully admits that much of the land will be commercially developed and some of the campus parts of the vision are many years away. Thus, who they choose to develop the land will be interesting. Several months ago, we reported that developers had swarmed to oppose the SoccerCity plan. They insisted they would not take any role in the development SDSU pursued if they were successful killing the project. That eliminates a lot of the city’s most prominent developers. So who will be left to get this lucrative job? And then there’s labor. SoccerCity backers worked tirelessly to get their project on a special election ballot this year. They failed. And one of the main reasons they did was they could not persuade the hotel workers union, and their brothers and sisters in the building trades, to support the plan. They came close to a deal on the construction but not on the hotels. Will SDSU have better luck? JMI Realty has made big deals with unions in the past, in particular with Ballpark Village, which is now nearing completion near Petco Park. The unions will now have leverage. If they pick a side, and rally members and supporters to one of them as labor’s choice, it could be decisive. If both measures are on the November 2018 ballot and both get a majority, the one with the most total votes prevails. Of course, there’s another outcome possible: They could both lose. Then the city may actually have to do its own work to figure out what to do with such an important piece of land.